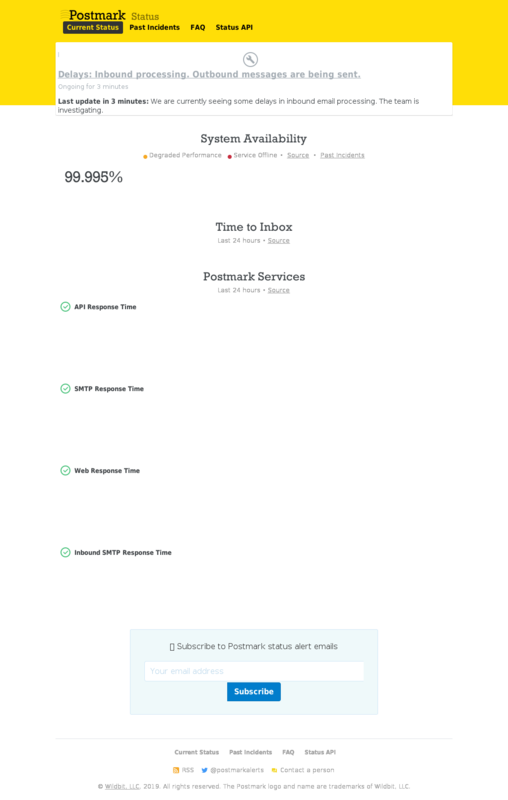 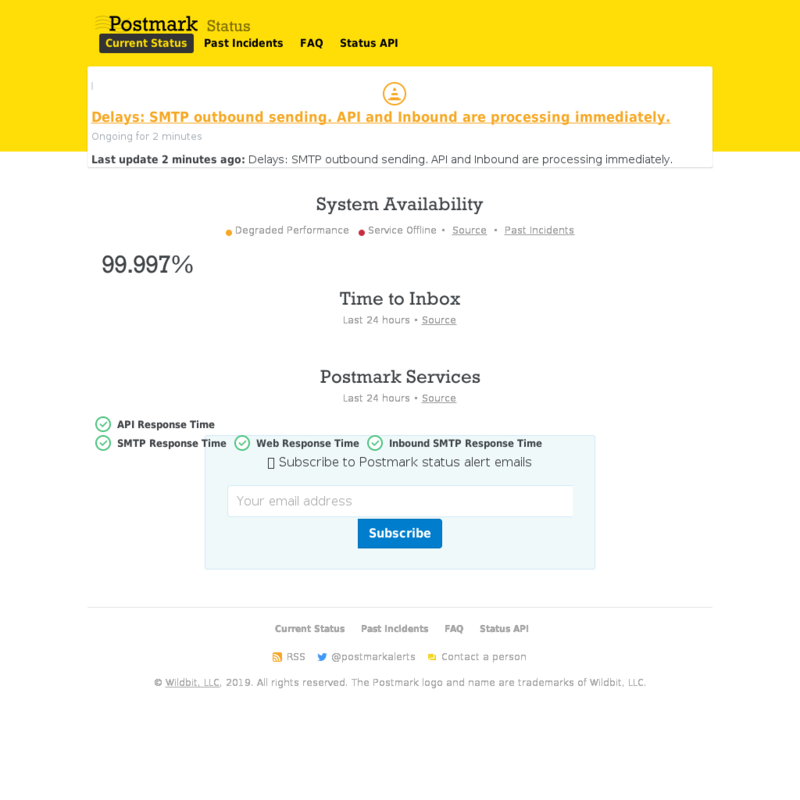 Enter your email to receive FREE instant notifications when Postmark goes down. 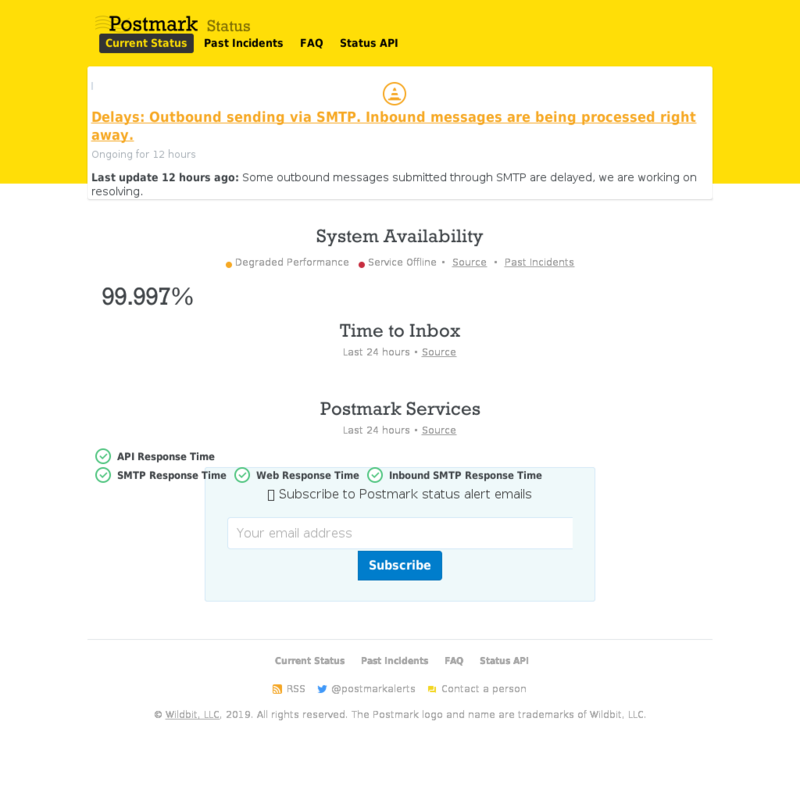 March 28, 2019 15:37 UTC WARN about 1 hour Delays: SMTP outbound sending. API and Inbound are processing immediately. Last update an hour ago: Delays: SMTP outbound sending. 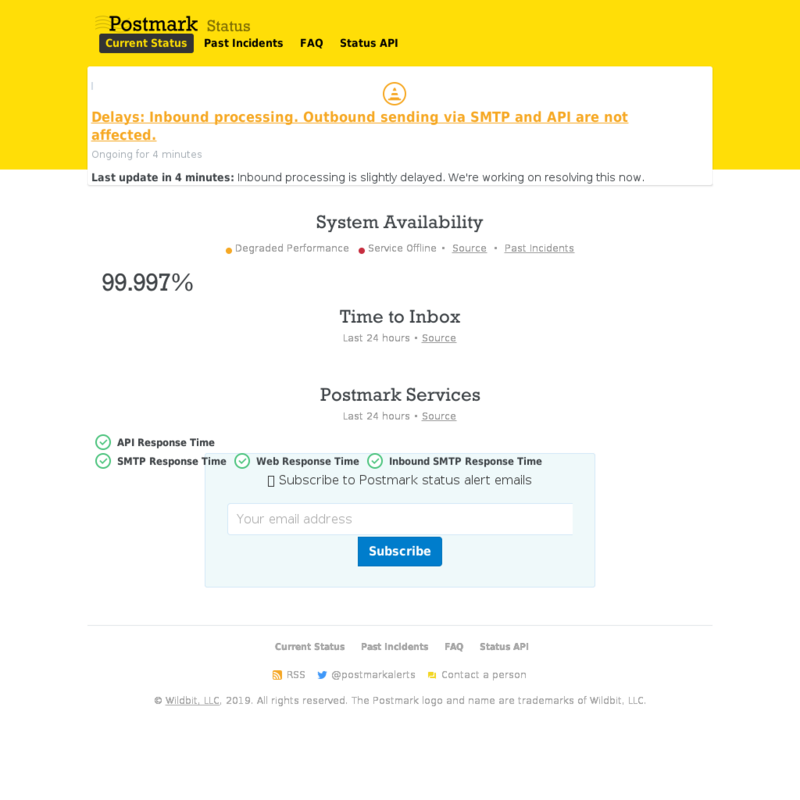 API and Inbound are processing immediately.